and shoot stuff..!,.. sorry ,im no good at stories..
Having played the 5 levels, it was clear that it was no exaggeration. 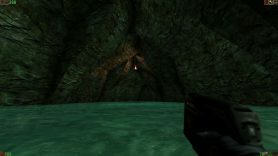 Nevertheless, we have to admit that it was a great achievement from the author at the time as a debut SP campaign and shame for the lack of a good story and coherence which, combined with its build quality, could easily have raised Hollow to the level of some of the early classics of Unreal single player mapping history. This topic contains 0 replies, has 1 voice, and was last updated by Archivist 20 years, 2 months ago. This is the auto-generated forum topic dedicated to Hollow.